The Regal Taps Lounge offers full menu service to members and public guests 7 days a week. The Imperial Dining Room and Majestic Ballroom are available to groups of 20 or more to order individually from the menu or arrange a group menu from our Catering Package. Please call 403-984-1706 for more information. On the middle level of the clubhouse, the Regal Taps' floor-to-ceiling windows look out towards the 18th hole. The Taps has all the amenities and comforts of your favorite neighborhood pub – friendly staff, five 52" TVs, pool table, dart board, and great food. The menu features all-day breakfasts and classic pub fare along with daily drink and menu specials. Click here to view the full summer menu and cocktail & wine list. Two levels above the Pro Shop and 1st tee, the Imperial Dining Room and Terrace provides panoramic views of the course and Nose Creek valley. Inside the dining room, guests can enjoy the view in a quiet more intimate atmosphere, and the casual outdoor terrace is the perfect spot for your private function. The Imperial Dining Room is available for catered events and group dining reservations year round. Call 403-984-1706 or email for more information. 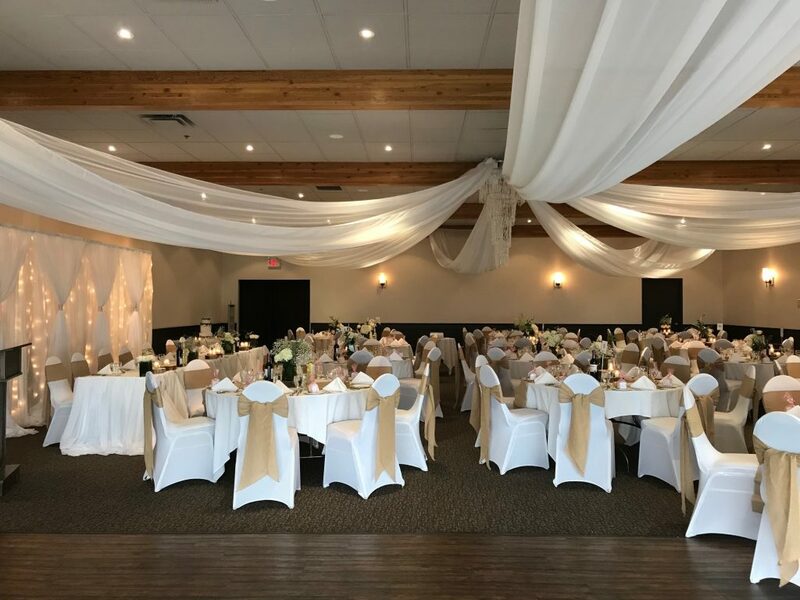 Overlooking the 18th green, the Majestic Ballroom provides panoramic views of the golf course and Nose Creek valley through large floor to ceiling windows. 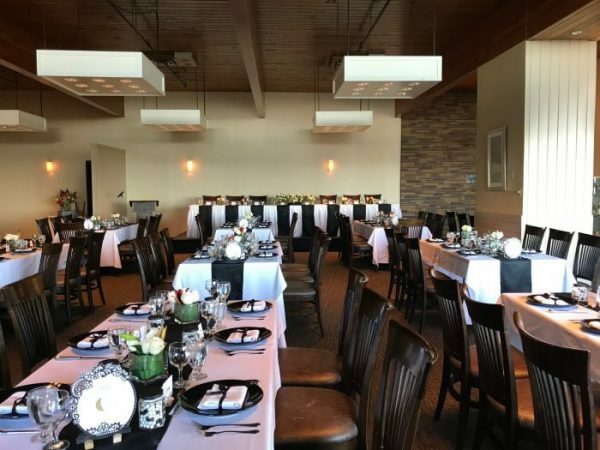 With a room capacity of 130 seated guests, this room is ideal for weddings, seminars, workshops, holiday parties, cocktail parties, fundraisers, birthday parties and other special events. The Majestic Ballroom is available for events year round. Call 403-984-1706 or email for more information. The Snack Shack greets golfers coming off the 9th hole with hot or icy cold beverages, healthy snacks, and sandwiches made to order. After walking the first nine, you might be thinking that a power cart would be a good idea for the last nine? You can rent one here. The 'Bevy' Cart makes repeated rounds of the course each day to offer golfers hot and cold beverages, snacks and sandwiches between holes.